The publication of Everything Lost and Oliver Harris’ essay on this notebook highlight the importance of journals, notebooks, diaries, letters and scrapbooks for Burroughs. I dimly recall hearing work of this kind described as writing with your left hand, implying that it is of secondary importance when compared to the true work at hand which is writing a novel or a poem. This is not true for Burroughs, or for many of the Beats. In the last decade a number of “left-handed” publications have been made available from the Ginsberg and Kerouac estates. Works, like the Windblown Journals, are crucial texts for understanding and, in my case, appreciating the Beat canon. The primary activity of the collector would seem to be to acquire. That is the rush. That is all the fun. But keeping a journal or diary regarding your collection is of primary importance as well. I have a database containing everything in my Burroughs collection. It includes descriptions of condition, what I paid for the books, and bibliographic information. Software of this kind is readily available. I have been using the same database for years. I have seen people use Excel as well. In some ways, the Bibliographic Bunker is an extension of the comment field in my database. When I began collecting seriously in the late 1990s, I created an online diary / journal called the William Burroughs Cyber-Library. This site is no longer online as the free hosting site took it down earlier this year. This site was very detailed in tracking Burroughs items: online, in catalogs, at auction, and at book fairs. I kept close watch on the rare book trade for about a year and a half until my lists of collectibles, such as the Olympia Naked Lunch, began to collapse under their own weight. My charts started to get 30-40 entries long and the data collection process was taking hours, not minutes. The Bunker provides the same service in isolated cases. On ebay there are usually over 500 Burroughs items are available at a given time with new material being added by the minute. Generally, the same stuff is up for sale, like Burroughs reading Edgar Allan Poe’s “Masque of the Red Death” on CD or copies of the 1992 Grove Press edition of Naked Lunch. Most of the items just are not that interesting, but you have to keep track because you never know. That is the beauty of eBay and the reason for its addictive quality. My father tracked eBay for 4-5 hours a day looking for new art pieces. It is like a full-time job, but this persistence pays off more often than you might think. Recently quite a number of Burroughs-related items passed through eBay and they tell an interesting story about a number of topics that concern the Bunker. Internet Law Number 1: The internet reveals what is truly rare. The poster child for this, in my mind, was a beat (as it beat up and battered) copy of the Digit Junkie that was available on eBay a couple years back. The copy was completely detached from its wrapper but all pages were present. There were markings in the book as well. On the surface this copy would seem far from collectible. I assume there was a chance to repair it, because the book sold to a dealer for over $2700 who no doubt flipped it for two to three times more (that is the standard increase in my experience). The Digit Junkie is the gold standard for a Burroughs rarity. If there was any doubt about this fact, the bidding activity on this particular copy proved its rarity beyond a doubt. The book was one of the top-selling works of fiction in that month. Only blue-chip authors Stephen King and J.R.R. Tolkien fetched higher prices. The writer at BookThink seems somewhat at a loss to account for the high price garnered by the Digit Junkie. Just this month a very good copy of C Comics Issue 2 came up for sale on eBay (pdf) and created quite a stir. The activity surrounding this item revealed just how unusual C Press items are in very good, let alone, fine condition. In addition, I have been told that fine copies of C Journal are almost unheard of. The C Comic sold for $500. Earlier this year a copy in lesser condition was available on Abebooks for less than a quarter of that price. My copy has condition issues concerning some detaching of the wrapper around the staples. This is not unusual with this item. The eBay seller, drchilledair, (who has been featured on the Bunker) was no doubt aware of this fact as he mentions the condition concerning the binding in his description. Condition was key in this case and made it a hot item. Maybe. Another internet law may account for the high price fetched by this issue of C Comics. Law: Do not rely solely on the internet for accurate pricing information, particularly if the item has not sold. People assume if an item is listed on Abebooks for a $1000 it is worth a thousand dollars. When I worked in a rare / used bookstore, I wish I had a dollar for every time somebody came in looking to sell their copy of Erica Jong’s Fear of Flying for $1000 because they saw it listed for $1000. I was/am guilty of this too. Working at the store, we used Abebooks or Addall to price items all the time. These sites have replaced the catalog or auction result in pricing. Forget about actually knowing what a book is worth from your own experience. The true bookman is dead in the Internet Age. In my opinion this fact came into play with the C Comic. The only other copy of C Comics available online right now is for $2500. There is no evidence in catalogs, auction results (including eBay), or in previous online listings to support this price. I have asked around. It is ridiculous. That said, by being the only price available, it affects the pricing of the book across the board. I am sure that people bidding on eBay felt they were getting a deal if the item is “worth” $2500. This is why keeping a journal or diary of prices is so crucial to the collector. Doing your homework will keep you from overpaying for items unknowingly. 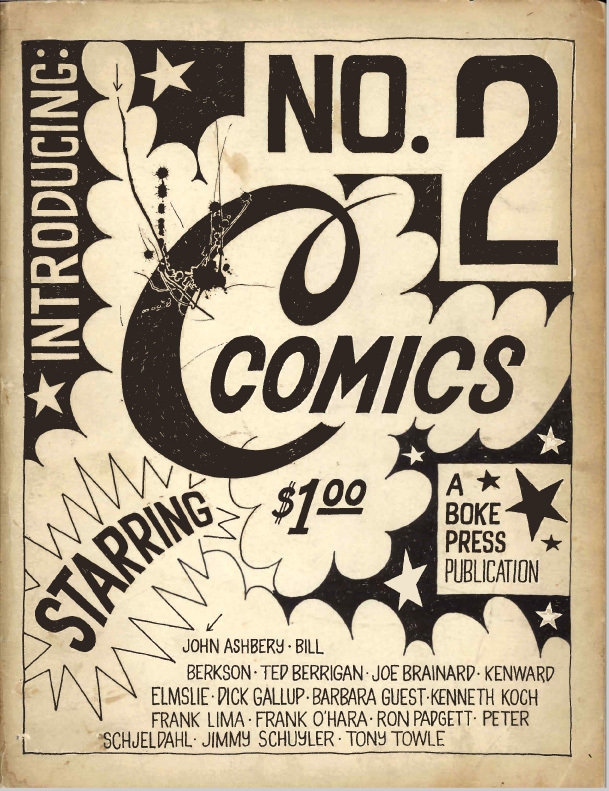 Earlier this year a very nice copy of C Comics #1 was available in a Derringer Books catalog for $450. A lesser copy sold for $150. If you actively archive old catalogs from major booksellers, you would know that a complete run of C Comics was available a few years back from John Benjamins in the Netherlands for 650 Euros. Given the exchange rate at the time, that was about $1000 or so. Benjamins is at the absolute highest of the high end in the sale of little magazines. So buying C Comics #2 for $500 is not a deal as some might guess by looking at Abebooks. In fact, it is right in line with the absolute high end of the market established by trusted and respected dealers like Derringer Books and Benjamins. Inverse law of internet rarity: the internet reveals that which is common and greatly decreases the value of those items. The general stock of your everyday used bookstore has gone down in value. The run of the mill Burroughs titles have dropped in value. Reprints, later printings, reading copies. Low-level collectibles have fallen as well. The flower-arranging books of Burroughs’ mother, Laura Lee, are a great example. In the 1990s, this was a $40-50 curiosity. Now they are all over the place in several different editions usually under $10. Similarly in some cases, blue chip items of the pre-internet era have been exposed as not that unusual. The item that jumps to mind is the ESP pressing of Call Me Burroughs. In the mid-to-late 1990s, this was a $300 record and almost never came up for sale. With the internet everybody and their grandma seems to have a copy stashed in the attic gathering dust in the grooves. Seemingly copies appear all the time on eBay. A search on Popsike.com reveals that this is not really the case, but that said the going rate of ESP-1050 has gone down considerably. You can generally get a nice copy for under $100. But remember the vinyl community is even crazier than the rare book crowd about condition, so values can fluctuate wildly. The comics crowd takes the cake in this regard. For example in December 2007 an ESP Call Me Burroughs brought $231. (pdf) This is remarkable in my opinion. A perfect-storm-type scenario. The original shrink wrap might explain matters. I can only wonder what a sealed copy would go for. 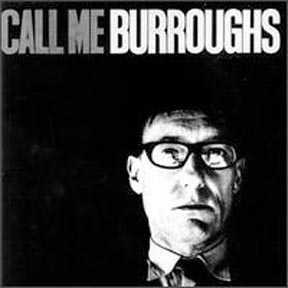 In your search on Popsike.com, note that the 1965 English Bookshop pressing of Call Me Burroughs does not turn up. Although this LP has fallen in value as well (copies were selling for $500 in the 1990s), it is still quite the unusual item. Get in your hipster uncle’s basement and dig these treasures out, they are awesome to listen to and quite a collectible. Internet law: eBay buyers are cheap. They like to kick the tires and get the deals. Who doesn’t, but those bidding at the established auction houses, not surprisingly (to say nothing of customers of high end book dealers), are willing to pay quite a bit more. If you are a seller and you establish your price based on the amounts you see on Abebooks, you are generally not going to get it. Case in point was a signed copy of The Exterminator published by Auerhahn Press in 1960. (pdf) This is a fantastic early piece by Burroughs. One of a 1000 copies by one of the great small presses in the post-WWII era. Signed copies at a rare book store range from $200-$250. This price has remained constant for years. This could be because not that many have come up for sale. In any case, an eBay seller recently tried an opening bid of $300 for a signed copy. No bids. I would think the same fate will befall the copy of The Yage Letters signed by Ginsberg and Burroughs. (pdf) It is a great item, but it sells for $600 in bookstores and in catalogs. I do not expect a signed Grove Ticket That Exploded to sell for a $400 opening bid either. (pdf) This does not even take into consideration that the signature stinks. In my experience, eBay does not establish new price levels for anything in the high-end collectible market. Dan Gregory stated that online book sites, like Abebooks, do not either. That is definitely true of those items $1000 and up. The extreme high end sales do not happen online. According to popular belief the day of getting steals on eBay are over. Not true. Internet Law: eBay still has great deals. There will always be people who have no idea what something is worth or more importantly why something is collectible. There are undiscovered gems on eBay all the time. Take Man’s Wildcat Adventures. It is collectible for the appearance of Burroughs’ Junkie, but Burroughs’ name never appears in the issue. He was still publishing as William Lee as of June 1959. Many people do not know this and have no idea this men’s mag is desirable (and becoming more so). As a result, the magazine is sometimes listed with no reference at all to Burroughs. Find it and swipe it up. Internet Law: The condition of items on eBay is usually lacking but the price is right. Unsigned Grove Press Naked Lunches routinely sell for far less on eBay than at rare book stores. This title always gets a lot of bids but never eye-popping amounts. Condition is key with this title. Usually the condition is just not there. But even the rare nice copies cannot be bought any cheaper than what they sell for on eBay. One just sold in December for just under $300. (pdf) Personally, I think that signed Grove Press titles by Burroughs are a good investment on eBay and even at an auction house. They sell for far less than rare bookstores. Even some of the unsigned titles are good to pick up. They are on eBay all the time and rarely get much action. But get a hold of the Grove Naked Lunch while you can. Only 3500 copies in the true first printing. There is some confusion about this since Rosset quickly reprinted 10,000 when he realized he had a minor avant bestseller on his hands. It is my understanding that the first issue first printing of the Grove Naked Lunch is considerably less in number than the Olympia titles. 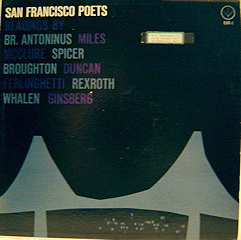 On a related note this copy of the Evergreen San Francisco Poets was a deal even at $200. (pdf) It could be argued that the booklet is worth that price. I have never seen the booklet for sale before. The photos inside are awesome. Copies of the LP without the booklet are offered at rare booksellers for $250. This reminds me of another law. Never buy spoken word LPs from a rare book dealer. You will always pay more than what you will pay from a record shop. One question I get asked rather often is: Are rare books a good investment? I have always heard that for insurance purposes rare books generally appreciate at 7% a year. I don’t know where I got that figure; maybe I made it up. Probably here. It seems about right. For more analysis, see David Brass Rare Books. The question is: Is Burroughs a good investment? I have tackled this question before and although I collect Burroughs for reasons other than profit, I think he is a safe bet to at least keep up with inflation and is probably right in line with other authors in the rare book market. But in my opinion, there is potential for tremendous growth with Burroughs not present in his contemporaries. I do not think the public has caught up with him yet. He is a writer of the future and as the world gets more Burroughsian, his readership will grow. As will the collecting of Burroughs. 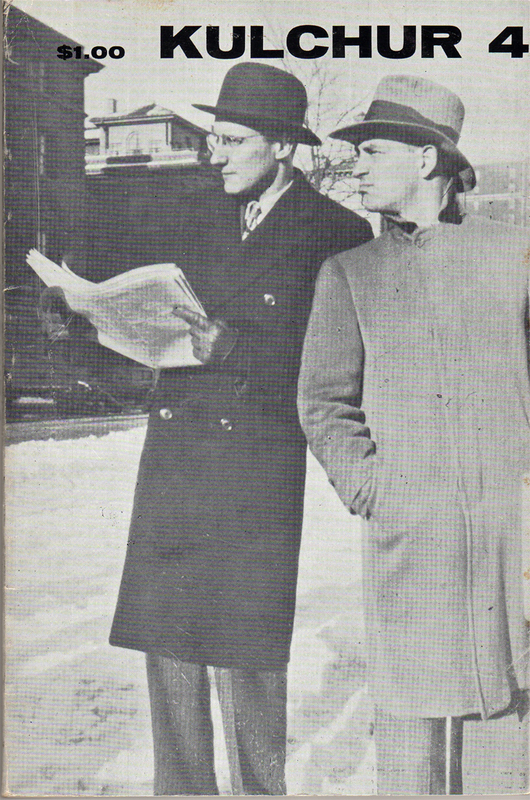 Unlike Kerouac (to say nothing of other blue-chip writers of the post-WWII era), Burroughs is really a small press and little magazine phenomenon. With the demise of print culture and the rise of a new mimeo revolution on a digital level, the alternative press tradition in the United States will become even more fetishized than it already is. Works from the alternative press of yore will be treated as art objects in a way that mainstream titles will not. Burroughs is one of the key figures of this tradition. I expect these Burroughs items to become as sought after and prized as the similar collectibles of Bukowski. Here is a case test. If 7% is the magic number, take a signed copy of Kulchur #1 that came up on eBay. (pdf) I can track this item for close to 10 years. Issues of Kulchur signed by Burroughs are not common. I know of three. One sold at the Lyon sale in 1999 for $120 with premium. One sold awhile back on eBay for $138 and the item in question which sold for $157.50. This shows a slight single digit increase in value over roughly 8 years. It should be noted that the Kulchur sold at the Lyon sale would probably get more than $157 now given the association and the rock solid provenance on the signature: but call it a 7% yearly increase. Yet at $157, this recent copy was a steal. The key is not the final price but who bought it. Note the copy sold to Red Snapper Books. Booksellers of his knowledge and experience do not overpay. In fact they recognize value for a living. He understood this little mag represented an opportunity for profit. If you want this particular issue of Kulchur now, expect to pay around $300. Recently, I have seen signed copies of Kulchur for that amount on Abebooks. They always seem to be signed by Burroughs. Weird. This makes provenance all the more important. That said some more mainstream (if I can call them that) Burroughs books have remained stagnant for about a decade. My signed copy of Dead Fingers Talk has not budged in price at all. Same goes for my signed Exterminator! As of now, I would probably not get my money back on these titles. As I have said elsewhere, the 1960s signed Grove titles have gone up steadily. In the 1990s a signed Soft Machine was $200 at a bookstore. Some sellers are now asking over $500 (one wants $700 for a review copy). The Grove Naked Lunch has risen considerably as well. Bookstores are routinely asking $2000 for it (Ken Lopez who can be considered something of a barometer in these things). A price of $3000 is not uncommon and one dealer wants $5000. This is not to say that I could sell my signed Groves for these amounts, but in the next decade I would definitely see a considerable profit and the trend is upward. Written by Jed Birmingham and published by RealityStudio on 24 December 2007.